Hmmm, well I am 5'10" but that's about it for resemblance. I guess I won't make the cut. But maybe you will. The deadline is tomorrow, so get emailing. Boston Casting is looking for a Mel Gibson Photo Double/Stand-In for the new feature film EDGE OF DARKNESS starring Mel Gibson. 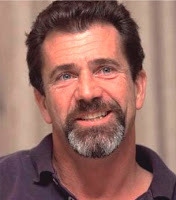 To be considered, you must be approximately 5’ 10” tall and bear a striking physical resemblance to Mel Gibson. E-mail a headshot and resume to edge.photodouble@gmail.com by Wednesday, August 6, 2008. Click (here) for a link to Boston Casting. 0 Response to "Edge of Darkness Casting Mel Gibson Lookalikes"